One of my all-time favorite drawing pencils is the Ebony pencil, and I haven’t used one for a long time. So I began this piece by just drawing casually, no image in mind. 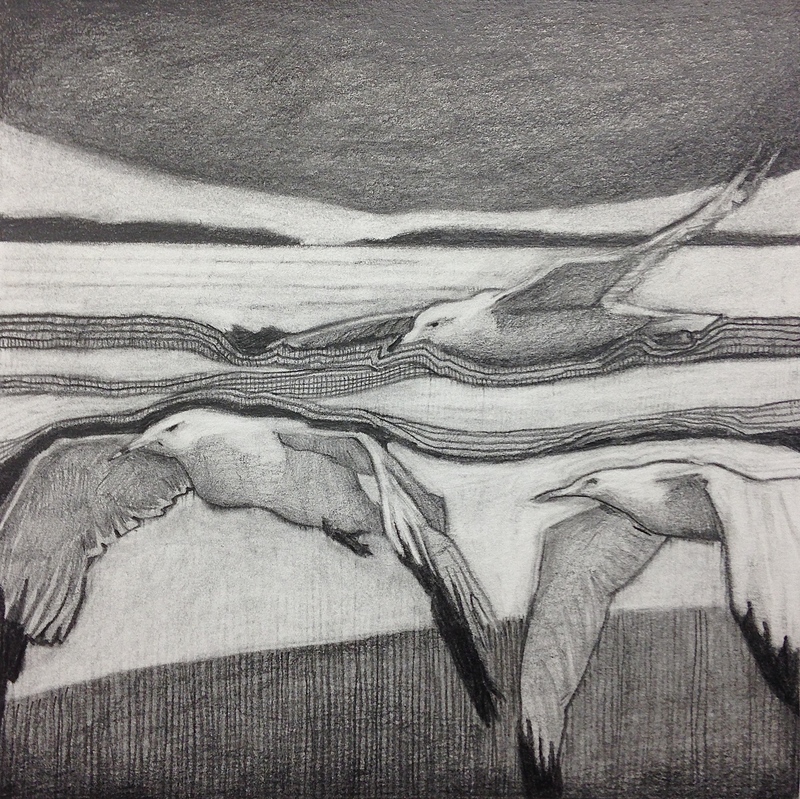 As I drew, my eyes rested on the top clipping in one of the many piles next to my drawing table, a black and white newspaper photo of a large flock of gulls. My interest was piqued and I singled out 3 of them to incorporate into my drawing, adjusting the forms and values to work with my composition. The intent is obviously not to present an anatomically accurate image of a gull, but rather to capture the feeling of their flight. The title includes a 3, not because there are 3 gulls, but because I have used that title, TAKING FLIGHT, on 2 other pieces (an 18X36 painting and a collage).